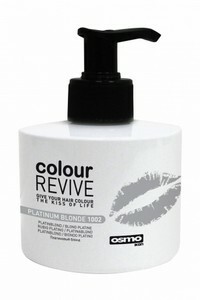 Give your colour treated hair the kiss of life between salon visits with this conditioning colour treatment. Infused with Avocado Oil and intensifying colour actives to instantly restore vibrancy and shine, this nourishing cream ensures your hair colour stays stronger for longer. Directions: Shampoo and towel dry hair. Wearing gloves, apply cream to hair and comb through. Leave on hair for a minimum of 3 minutes, maximum 10 minutes depending on desired effect. Rinse thoroughly.